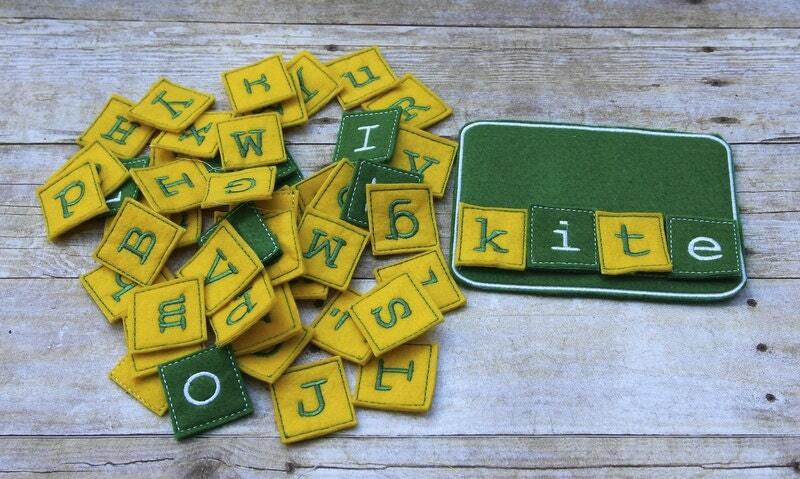 Felt spelling board and letters. 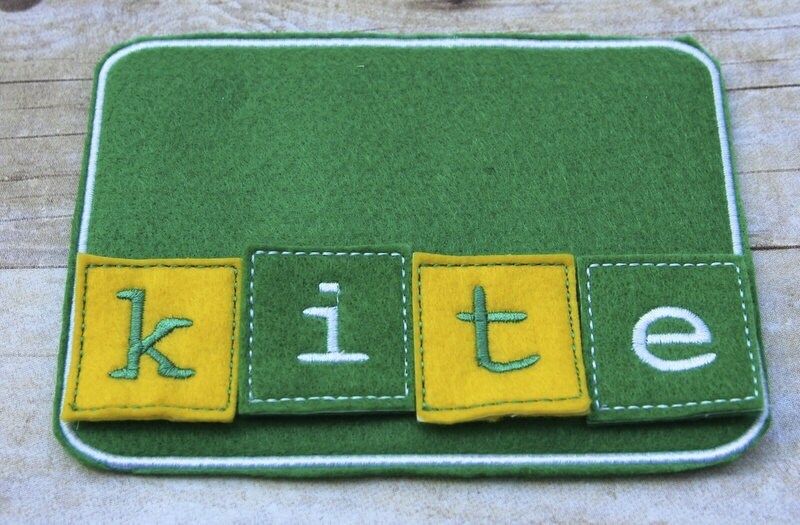 This is a machine stitched, handcrafted learning tool. Comes with a set of uppercase and lowercase letters plus additional commonly used lowercase letters. 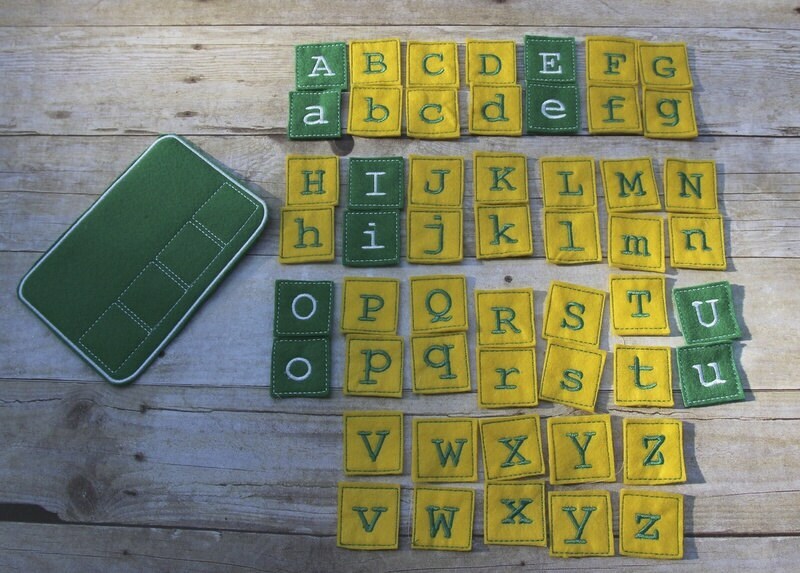 Your child can practice words containing up to four letters with this board and longer words without. Can be used with your pre-schooler to help them spell their name, your elementary student, or anyone that may need to practice spelling words. Board and felt colors may vary. Ships within 10 business days after payment.